Yep, I still have my trusty Eastman No. 2 Cartridge Hawk-eye Model C. It's always useful when I need to fall back on 120 roll film in daylight situations. 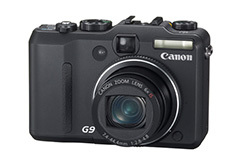 Great spring-loaded, two-way, one-speed shutter! Sometimes a step forward is actually a step back. Derrick I'd also suggest finding a old Canon Powershot that can run CHDK, they have timelapse scripts for it that work great!! I'm not sure if they ever ported it to the G9 but I love the versatility that CHDK brings to these little cameras, many features aren't even available on +$2000 cameras. You'd think for the price of a 5D MkII or D3x you'd get the kitchen sink.. I'm seconding the CHDK suggestion. It's perfect for an old but functional Canon that would otherwise be consigned to the drawer. I just got an S95, so I'm going to install CHDK on my old SD1100is so that it's worth keeping around. In fact, it's been a while since you've discussed any hacks on the podcast; I think CHDK (and any Nikon/Sony/Olympus/Panasonic equivalents) would make a great podcast topic (apologies if you've already covered it; I don't recall you doing so in the year and a half that I've been listening). I think that's a great idea. It's time to do a podcast about the fun stuff you can do with older gear, especially with some slight modifications. Consider it on the list. To my personal "shame" I actually own 4 polaroids still and use them still haha. They are just so darn historical and so much recognition goes to these amazing cams. The trouble I'm having now is buying the film for it, as it's out of production. Was shipping a ton of it from china, total pain.